I humbly submit my Datsun 240Z as my Land of the Rising Sunday 1/18th submission. Also, haha, rhymes. This 1/18th Maisto Datsun 240Z is possibly the biggest bargain I’ve ever gotten on a diecast. I bought this for only $15 at Costco and for the amount of detail it has that’s a total bargain. This thing is sold online for around $30 from several retailers. 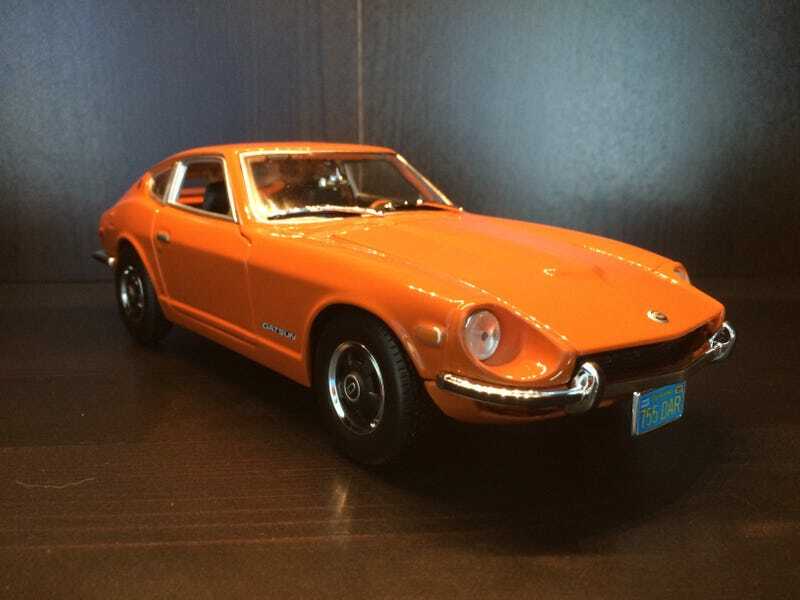 As for the 240Z itself, it was a Nissan Fairlady Z rebadged for the US market and sold here from 1970-1973. It was sold as a direct competitor to the MGB-GT, priced within $200 of it. It has a freaking VIN!